Deadline: 10am, Monday 10th March 2014. 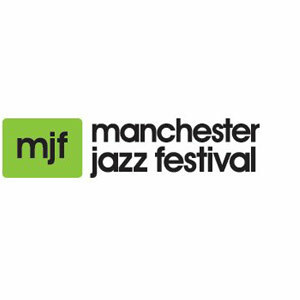 Manchester Jazz Festival (MJF) presents a vibrant and diverse 10-day programme of contemporary music each July at several indoor and outdoor city centre venues. The programme features new commissioned and cross-genre work, emerging bands, international debuts and other collaborations, with a special focus on north west artists. MJF is seeking to recruit a dedicated and resourceful person for the role of marketing manager within their small yet high-achieving team. They are open in their approach to filling this part-time self-employed role; the hours are flexible but it will be necessary to work some evenings, weekends and long days, especially during the festival itself. The workload is seasonal, with a peak of activity in spring and summer. The purpose of the role is to develop and deliver the marketing of MJF through print, web, merchandising and extensive use of social media and digital PR. You will nurture and develop festival audiences and build the brand and public image of the organisation to ensure that it complements the vision of the organisation, as approved by the Board. In 2015 mjf celebrates its 20th anniversary. We would like the successful candidate to experience MJF 2014 with a view to expanding our reach in 2015. For more information and to download the job description please visitwww.manchesterjazz.com/about-us/opportunities/ . Lucy Woolley, Festival Manager, manchester jazz festival, Suite 5, 4thFloor, 40 Fountain Street, Manchester M3 2BE, or by email to lucy@manchesterjazz.com with ‘Marketing Manager’ as the subject line, to arrive no later than 10am, Monday 10th March 2014.